Are there any OTR tanker (food grade only) companies / positions that do NOT have a team-driving phase for a new CDL holder? I think you are missing the point...read PJ's reply, all of it. Read all of Brett's most recent reply. Basically saying the same thing. I agree. You are getting solid and truthful advice providing an answer to the question you neglected to ask, Focus on what really matters here. Oh, I very much do understand. You, Brett, PJ, and many others here think a CDL driver with less than 1 year of experience should NOT be driving tankers. Prime, Schneider, or any other company who hires drivers with less than 1 year experience (for tankers) is wrong to do so. You have all made that crystal clear. Thank you for answering the question I didn’t ask. But as to the question I DID ask, either none of you know of any such company that meets the criteria I inquired about or you do not want to disclose them because you don’t agree with them. That’s fine. I feel like this is causing some consternation and that really is not my intent. I can search for an answer to my question elsewhere. So you want someone to just hand you the keys to a food grade tanker and send you out there to figure it out on your own? Apparently I rubbed you the wrong way somewhere, or you're having a bad day, or somewhere along the line something is being lost between my keyboard and your reading comprehension. I'm not mad, I'm not expecting a company to "just hand you the keys to a food grade tanker and send you out there", I'm just trying to determine if there is a company that might be a good fit for me and if my expectations are appropriate. You may not recommend new CDL drivers to pursue tanker driving positions but companies like Schneider allows new drivers to apply / get hired into their OTR tanker fleet without having the team-driving training component, but it has a hazmat component that I'm not sure I'd be entirely comfortable with, so I was hoping to find out if there was a similar company without the hazmat component. I'd prefer a company that trains like Susan D's company does where I wouldn't have to handle hazmat issues. Is that wording my question better? Not at all. I certainly realize that a training period is necessary. But I have little interest in team-driving style training where the truck is constantly moving and trying to sleep in a moving vehicle for 40k+ miles, similar to Prime's TNT training period. Susan D has posted that her company does not use the team-driving method to train and I was curious if there might be others that do the same in the tanker field. Perhaps my question was not worded correctly to reflect that? There is nothing more dangerous than someone who overestimates their own knowledge or abilities. I'm not sure how you came to that conclusion and I'm starting to regret asking the question here. Sheesh. Or any that have their own CDL program? I guess nobody really wants to deal with HazMat loads if they dont have to, so if that's needed for a year or so to get experience I guess its not the end of the world, but I really have 0 interest in the team-driving training method some companies use. CDL CLASS B COMPANY PAID TRAINING COMPANY'S? This is pretty far outside the box, but I know for a fact that DisneyWorld in Florida hires bus drivers without a current class B and will fully train them and reimburse all DMV costs that the student incurs. The DisneyWorld class B bus driver training is 2-3 weeks. This includes full time and part time cast members. Driver pay is $12.65 per hour. Rainy thanks for taking the time to make such an informative response. I can indeed retest, either at the same clinic or another. So you originally were sent to take the first 2 tests (one recently, and one when you were hired) by a doctor that Prime sent you to? But you have the option of seeing the same or another doctor / get a sleep test? If you pass the next test with a separate doctor will that get you off the machine and how often will you have to re-test? At the risk of prematurely hitting the panic button, your description of the test conditions is a big part of the issue. If the test center makes it uncomfortable and then claims you have a sleep issue because you can’t fall asleep, how can anyone consider those results legitimate? Airline pilots get their flight physicals with their personal family doctors as opposed to doctors affiliated with their employers. I’d be much more comfortable with that arrangement than the one most major trucking companies have. and this is not something im.planning on keeping. i feel worse and worse with it everyday and truly feel as though im being treated for something i dont have. i had no symptoms of head aches, fatigue or lack of concentration...UNTIL i started the machine. Is seeing another doctor / getting a 2nd opinion an option? Wow. So of they don’t get you the first time they’re going to keep trying until they do. Unbelievable. I sleep very well (I’ve had 49 years of practice) but with a neck size of 17.5” I guess that would mandate testing for me even though my BMI is only 30. And I have yet to hear of anyone passing the test and not being recommended a CPAP machine. I guess that closes the door to driving for me; I couldn’t sleep on my back with any mask on and wake up well rested. Sheesh, I didn’t know that if you passed once you had to keep retaking the sleep test. What a racket. Unfortunately, I don’t see this going away anytime soon. Hi and welcome! i also have a CPAP. Rainy, I thought you posted that you had tested a couple months ago but had no sleep apnea? Rainy, so if my math is correct from my earlier post (in a “day, 10 hours rest + 9 to 11 hours of driving = 3 to 5 hours remaining for time at shippers / receivers, trip planning, maybe some personal time etc) would it be correct to assume that on pure driving days you have a few more hours available to yourself because there is little on duty time other than driving? Is there often some slack in your load delivery schedule? I would have thought companies would schedule things pretty tight to keep pushing productivity. Loads have excess time on them? Thank you for all the replies. This has been an eye opener for me. Truly driving is more lifestyle than job and my hat is off to each of you who are willing to persevere in such a demanding occupation in order to provide for your families. Turtle, so are you constantly pulling forward your hours / starting your days earlier? As an example, on Monday you start at 8am, 2 hours to be loaded, 11 hours of driving til 9:00 pm, take your 10 hour break, than start a Tuesday morning at 7:00 am, drive 11 hours til 6:00 pm, take your 10 hour break and start Wednesday morning at 4:00 am. So your “days” start at (Monday) 8:00 am, (Tuesday) 7:00 am, Wednesday at 4:00 am. Is that correct? I guess the pulling time forward would be more pronounced if you ran recaps (only driving 8 3/4 hours per “day”)? Patrick, I explained that horribly. But your explanation still cleared things up a bit. The drive time (9 hour recaps or 11 hours max) falls within the 14 hours of work / on duty time, if I understand correctly, and I should have included that in my original post. So the average (if there is such a thing) OTR day is a 10 hour break (sleeping, eating, shower, etc), 9 - 11 hours of driving, depending on how you run, and that leaves 3-5 hours of on-duty or work time for pre and post trips, time at shippers and receivers, trip planning, etc. That helps me better understand the frustration on drivers’ part with regard to slow loading and unloading times and traffic holdups. So when do drivers find time to post here or learn other skills (like Brett learning to code)? Time at shippers and receivers getting loaded / unloaded? Given the hourly constraints it really is a very limited amount of time a driver has for anything other than the necessities. I’m having trouble grasping the work hours requirements vs personal time available in a day for the average OTR driver. If I understand correctly, a driver can legally drive 11 hours per day, work 14 hours per day, and is required to have a 10 hour break. If a driver is running recaps and only driving around 9 hours per day and having a 10 hour rest break, what is happening to the other 5 hours? I read some of the messages here and it sounds like many drivers only have a 10 hour window to sleep, shower, eat, do laundry, etc. There’s must be something I’m missing. I thought I remembered Brett posting that he learnt to code while driving OTR. Was that just time waiting at shippers and receivers? Prime tanker drivers start at $0.49 per mile? A dozen semis blown over --THIS is why you park it! 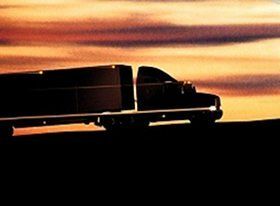 OK, non-cdl driver stupid question; an OTR driver in a day may be driving several hundred miles. How do you check winds for your route? Is there a “weather channel” on the CB? Do you just stop if it’s a windy day? Thanks to both of you. That’s what I needed to know. Much appreciated. ...... with another company, if you hire on to Prime (solo OTR) do they put you straight into your own truck or is there a team training period involved?